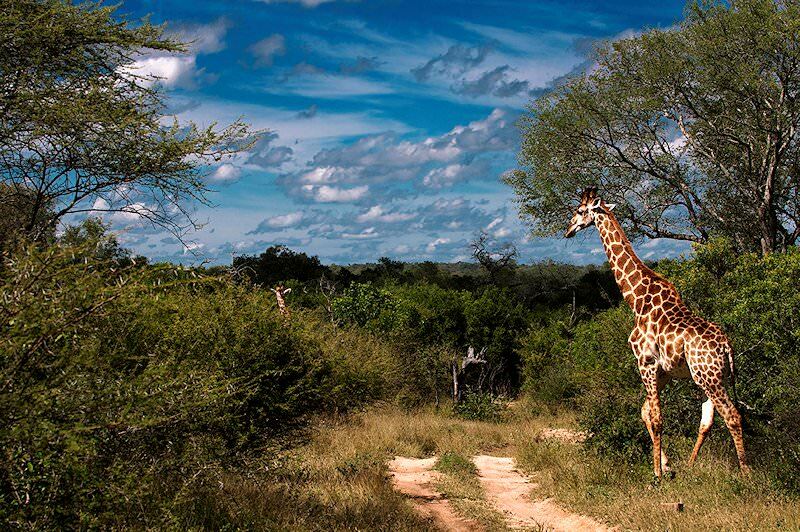 Roam the natural riches of Southern Africa on a luxury journey that combines the continent's most mesmerizing milieus. Guests will be met and welcomed on arrival at O R Tambo International Airport in Johannesburg, from where the Spirit of Southern Africa Safari makes its way east, traversing the towns of Witbank and Belfast en route to Dullstroom. Before reaching Dullstroom, a visit is made to the Bird of Prey & Rehabilitation Center, where a large number of different raptor species may be viewed. Dullstroom dates back to the early 1880's, when Dutch settlers made their way to the 'place of eternal mist’. The town is situated at 2 100m above sea level, making it one of the highest towns in the country. The architecture in the town is a mixture of 19th and 20th century. 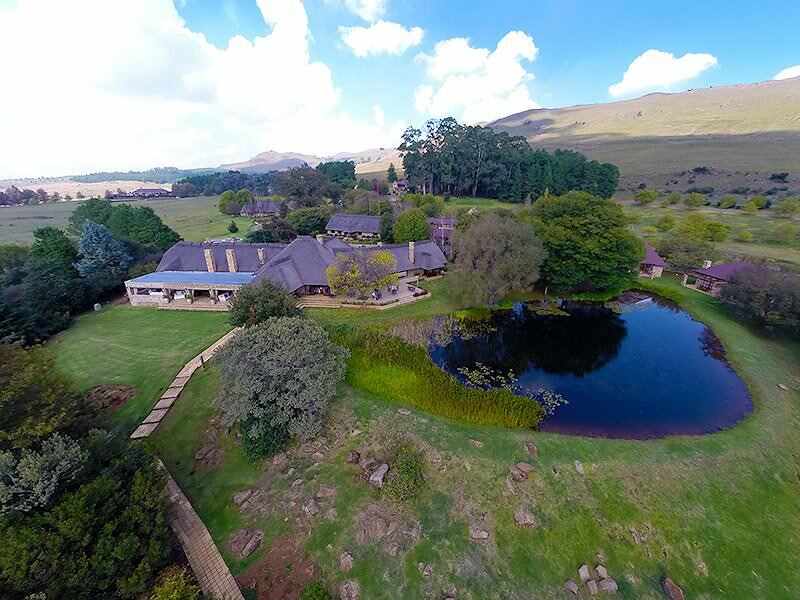 A short distance outside Dullstroom is Walkersons,, one of the finest country estates in South Africa. The morning is devoted to visiting a few highlights along the Panorama Route. On entering the Panorama via the Long Tom Pass from Lydenburg at 2 149 meters above sea level, you travel along the highest paved road in South Africa. The pass is named after a type of cannon used in the Anglo Boer War, which was commonly referred to as Long Tom. From the crest of Mount Anderson one may look down from a height of 1000 meters onto South Africa's largest man-made forest. Stops are then made at God's Window, with its sweeping views of the Lowveld, and the triplet peaks of the Three Rondavels, one of the most scenic views along the Blyde River Canyon. 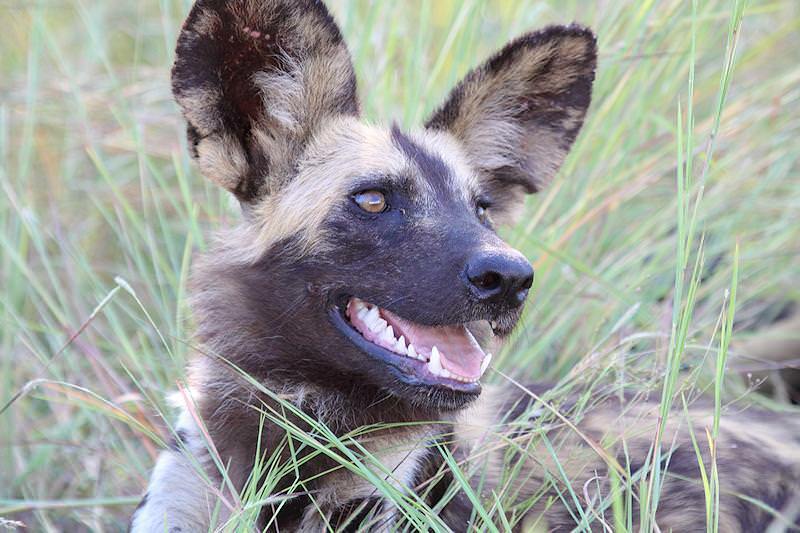 The safari then crosses and descends the eastern escarpment and makes its way into the heart of South Africa's Big Five country and the Sabi Sand Private Game Reserve, which is part of the Greater Kruger National Park. 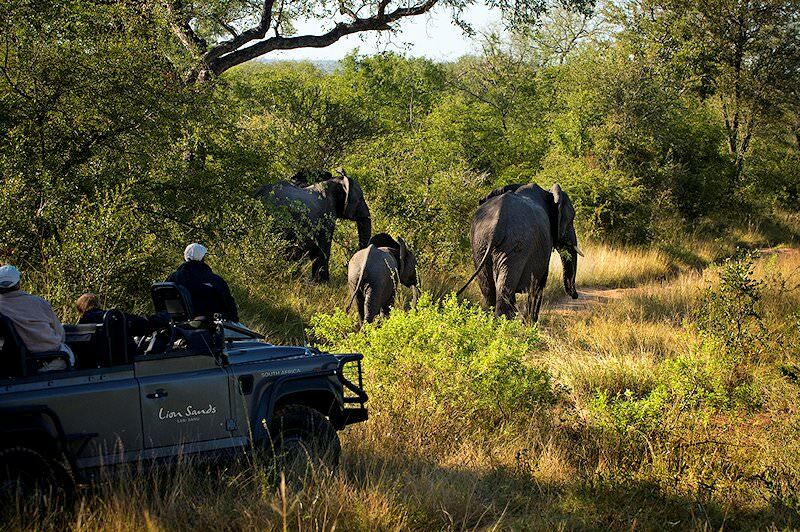 A late afternoon game drive is conducted in open 4x4 vehicles in the company of a local ranger and tracker. The day is devoted to early morning and late afternoon 4x4 safaris in the Sabi Sand Private Game Reserve. The reserve lies in the southwestern region of the Kruger National Park and is home to some of South Africa’s finest safari lodges. The habitat ranges from riverine thickets along the Sabie and Sand rivers to open savanna grassland. 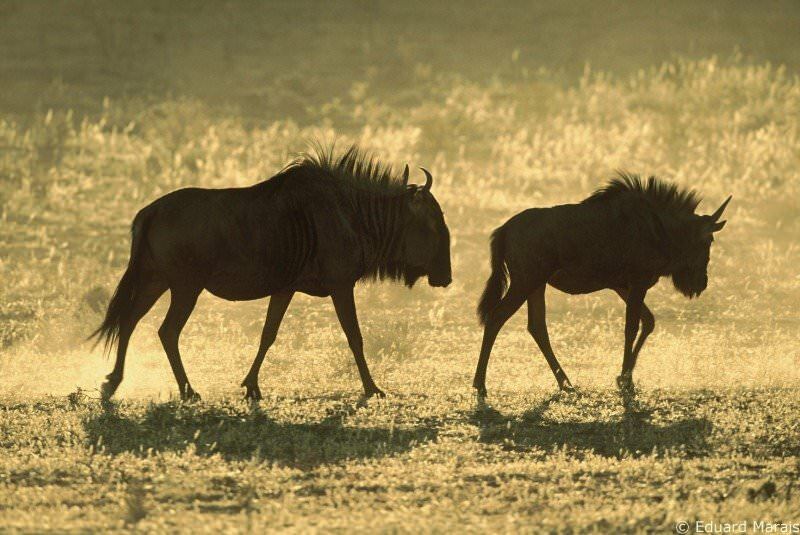 The reserve is home to the Big Five, the most imposing and majestic of all of Africa's mammals. Sighting these animals in their natural habitat is sure to be amongst the day’s highlights. Guests are very likely to see territorial leopard and lion on either the morning open 4x4 safari or the late afternoon game drive, which extends into the evening. Several clans of spotted hyena, which den in collapsed termite mounds, might be seen. Impala are the most abundant antelope, with common waterbuck and grey duiker also frequently seen. 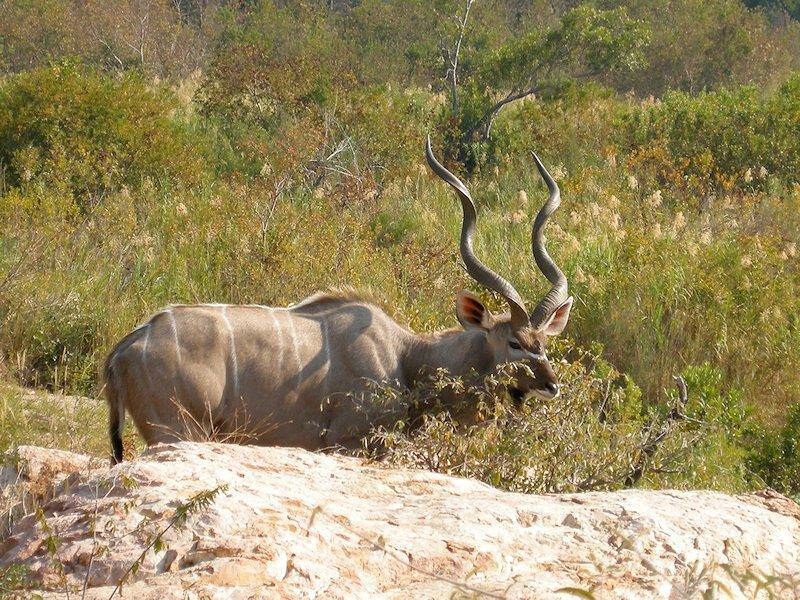 Greater kudu, bushbuck and nyala favor thickets and riverine forest, whilst buffalo herds graze in tall grasslands. Waterholes attract elephant, white rhino, giraffe and warthog. Cape clawless otter, crocodile and hippo are resident in the Sand River. Nocturnal white-tailed mongoose also inhabit this area. The smaller cat species which are frequently seen on the night drives include the civet and the large spotted genet. A last morning game drive is followed by a late breakfast. Guests are then transferred to Kruger Mpumalanga Airport for a flight to Cape Town. 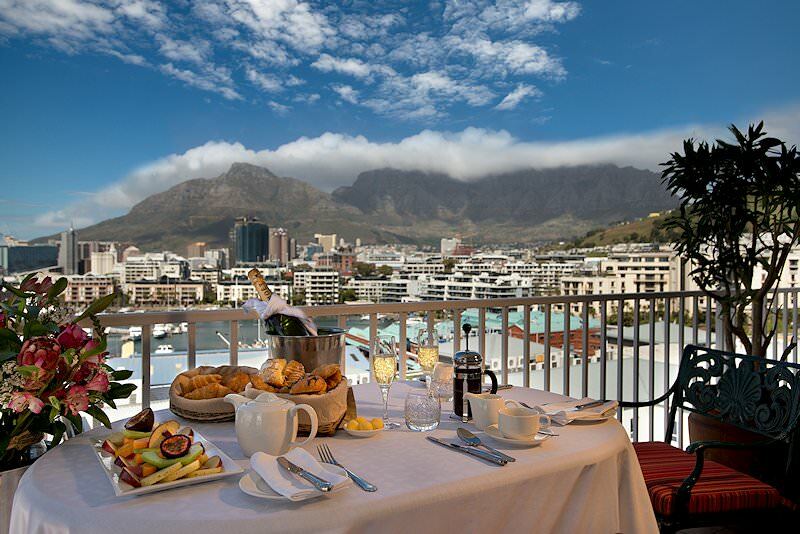 Guests will be met when they arrive in Cape Town and then be transferred to their hotel, which is situated on Cape Town's famous V & A Waterfront. The late afternoon is spent at leisure in South Africa’s Mother City. The morning is devoted to a cable car ride to the top of Table Mountain. The main feature of this mountain is a level plateau of three kilometers, bordered to the east by Devil's Peak and to the west by Lion's Head and Signal Hill. Table Mountain is one of the most recognizable natural landmarks in the world and has recently been voted one of the seven natural wonders of the world. The cable car ride, which lasts about five minutes, offers exceptional views across the city of Cape Town and Robben Island. On reaching the summit, some time is devoted to visiting different viewpoints, from where spectacular views of the Cape Peninsula may be enjoyed. The tour then makes its way to the Kirstenbosch Botanical Gardens. The gardens cover an area of 528 hectares, including 36 hectares of cultivated gardens, and are a celebration of South African flora, showcasing only indigenous South African plants. Fynbos, proteas, cycads and rolling lawns are intermingled with streams and ponds. The gardens are home to a great diversity of birds and some incredible views may be enjoyed across the Cape Flats from its upper slopes. Following the Kirstenbosch visit, we make our way back to our accommodations. Cape Point forms the most southwesterly tip of Africa. 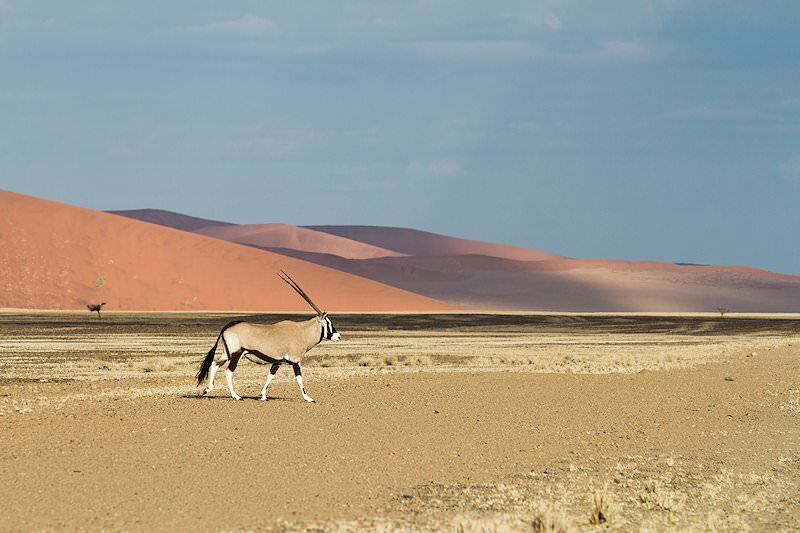 Located in the Cape of Good Hope Nature Reserve, this prime tour destination hosts wildlife such as ostrich, zebra, eland, blesbok and red hartebeest. A short ride in the Flying Dutchman funicular ferries visitors up to the old lighthouse. This perch provides sprawling views of the notoriously stormy Atlantic Ocean. The tour makes its way to the town of Stellenbosch. 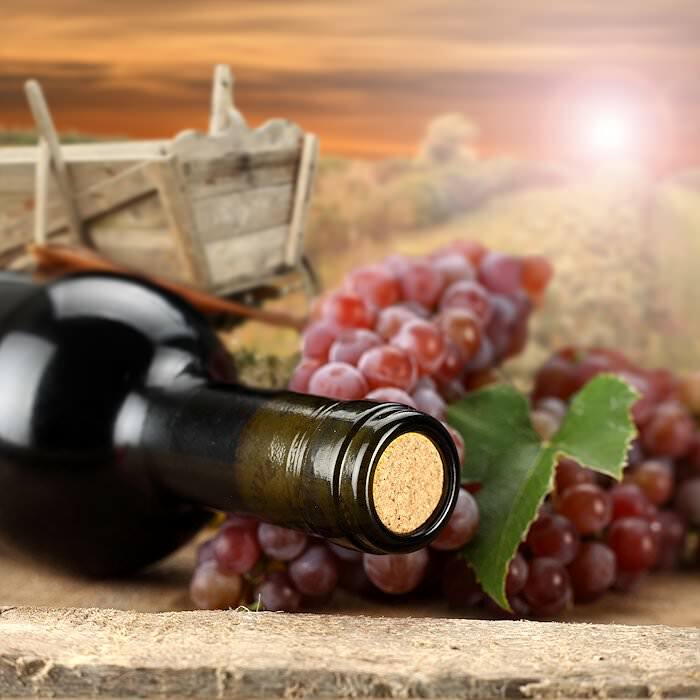 Tucked away in the spectacular sprawl of the Jonkershoek Valley, the university town of Stellenbosch has established itself as the headquarters of one of the country’s finest wine-producing regions. Rich with authentic Cape Dutch architecture, a mouth-watering selection of gourmet fare and charming boutiques and art galleries, Stellenbosch has enchanted visitors since 1697. The highlights of the day include visiting a selection of some of the best wine farms in the region for tastings before traveling on to the town of Somerset West, where a visit is made to Vergelegen. Throughout its history, internationally renowned celebrities have frequently visited Vergelegen, one of the most remarkable places in the Western Cape. Over the past decade, Vergelegen has been honored by visits from the executive committee of the ANC, Queen Elizabeth II, the Duke of Edinburgh and in March 1998 by Nelson Mandela, Bill Clinton and their First Ladies. On completion of the visit to Vergelegen, the tour makes its way back to our overnight destination. The wine-producing Franschhoek Valley lies below the gaze of the Drakenstein Mountains, their jagged peaks blotting out shards of the sky. The town itself is the remnant of a peculiar past - the location where a pocket of French Huguenots settled themselves whilst fleeing persecution. Though colonial Dutch influence eventually overwhelmed the Huguenots, Franschhoek still boasts an inherently French flavor, prevalent in the food and wine of the region. The afternoon is spent exploring some of the valley’s finest wine estates, including tastings. The Franschhoek Pass is then crossed with some of the most majestic mountain scenery in the Western Cape on display, as the safari makes its way to Grabouw. Grabouw, Elgin and the nearby train station form the heart of the apple-producing region. Here a stop is made at a working apple farm. A tour of the farm is included and explains the full process of apple farming. Guests are met after breakfast and transferred to Cape Town International for a flight to Windhoek in Namibia. Guests will be met at Windhoek Airport and then transferred to Eros for a light charter flight to Swakopmund. 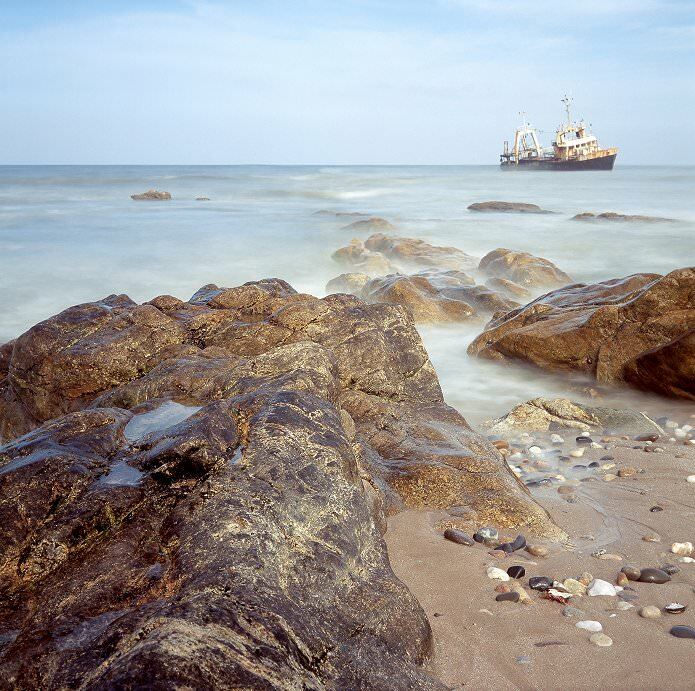 Swakopmund is Namibia’s go-to seaside resort town. Though wedged between the fiercely cold waters of the Atlantic and the near-infinite stretch of the harsh Namib Desert, Swakopmund offers the charm of colonial German-style architecture and culture in an isolated corner of Africa. It is also a fantastic base to enjoy desert-based activities like sand boarding and dune carting, and attractions such as Sandwich Harbor. Our first stop today is at ' Bird Rock ' - a guano island inhabited by some 200 000 birds and one of the first examples of man's efforts to utilize the rich natural resources of the area. The safari then makes its way to the lagoon at Walvis Bay and then on to Sandwich Harbor, both areas that have been designated as 'wetlands of international importance'. En route to Sandwich Harbor, we witness the towering, wind-sculptured dunes of the Namib Desert as they reach right up to edge of the Atlantic Ocean. Some 40 000 birds - 34 different species in total were recorded in this area during recent surveys. Enjoy a leisurely walk along the lagoon (an official marine sanctuary) and you may also spot seals, dolphins and even whales. The safari then makes its way back to Swakopmund, arriving at the hotel in the late afternoon. After breakfast, guests are transferred to the Swakopmund airfield for a charter flight to Sossusvlei. 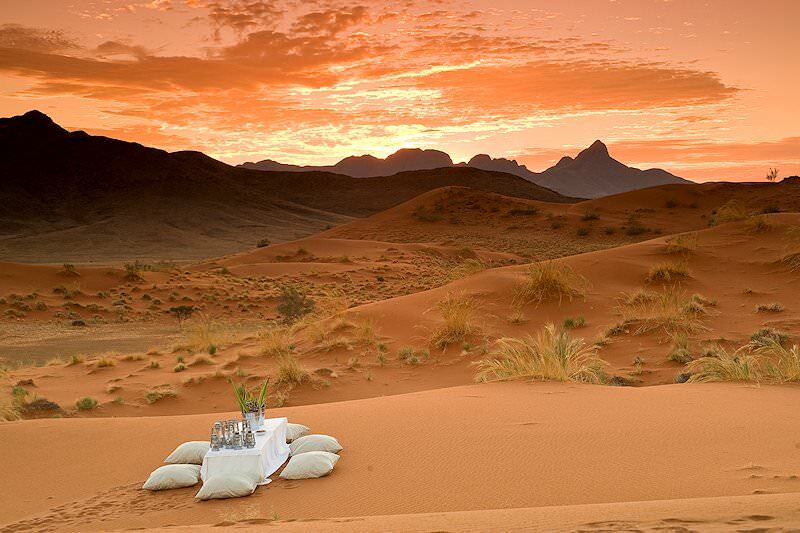 Experience the haunting beauty of the Namib Desert at Sossusvlei Desert Lodge, situated in the foothills of the private NamibRand Nature Reserve. 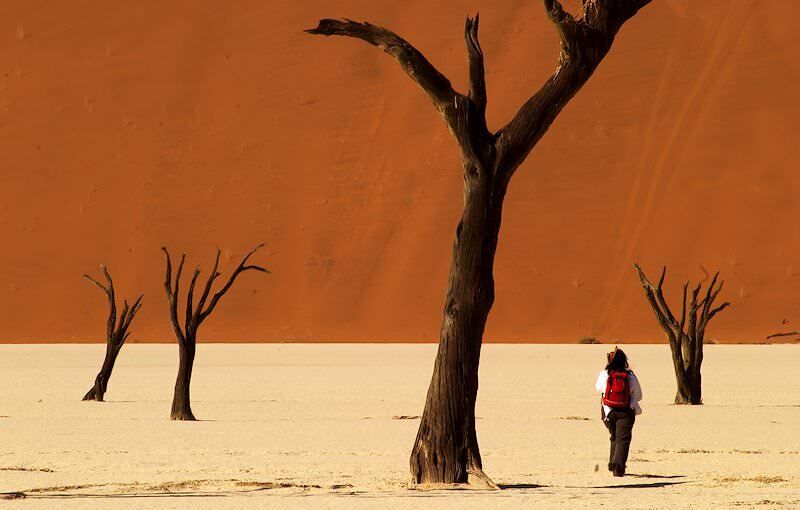 Sossusvlei seems to exist purely to take a visitor’s breath away. Hosting some of the world’s highest dunes in striking red and amber hues, this stretch of the Namib Desert offers a beautiful solitude for those who truly wish to ‘get away from it all’. Evenings provide a different thrill, the sky overwhelmed by the Milky Way in its full glory. Far removed from city lights and civilization, from crowds and cacophony, a night in this otherworldly outpost will prove unforgettable. The morning is devoted to an excursion to the famous Sossusvlei sand dunes, said to be some of the highest in the world, and then a visit to Sesriem Canyon. 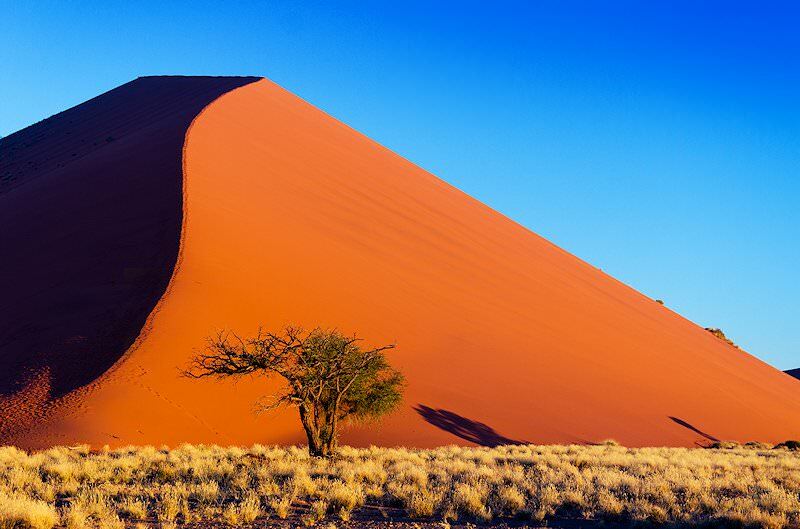 The name ‘Sossusvlei’ applies to an area that encompasses the great plain of the Tsauchab River, along with the red dunes that march along like giant sentinels to the south and north of the plain. After an excursion into the dunes where guests will have the opportunity to explore the area on foot, it’s on to Sesriem Canyon. The canyon begins as an almost imperceptible but nevertheless deep cleft in the level, stony ground, and then widens until it finally flattens out onto the plain. Because it is so deep and sheltered, it often holds water well into the dry season - an invigorating sight in this barren and stark environment. During the afternoon, we return to the lodge and, after some time for relaxation, the nearby area is explored by quad bike. 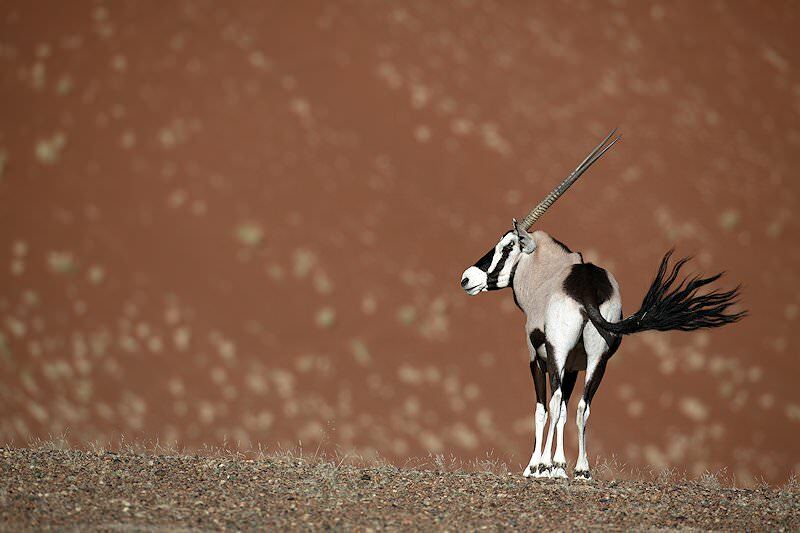 A morning desert experience is followed by breakfast, after which guests are transferred to the local airstrip for a flight to Windhoek, the capital of Namibia, where a short tour of the city is followed by an afternoon at leisure. Guests are transferred to Windhoek Airport for a flight to Maun and from there a light charter connection into the Okavango Delta, where an afternoon safari is conducted in open 4x4 vehicles by local rangers and trackers. The area was once part of Lake Makgadikgadi, an ancient lake that dried up some 10 000 years ago. The Okavango River has no outlet to the sea. Instead, it empties into the sands of the Kalahari, irrigating 15 000km² of the desert. The waters of the Okavango Delta are subject to seasonal flooding, which begins about mid-summer in the north and six months later in the south (May/June). Two game activities in one of Africa's most unspoiled wilderness areas are the focus of the day. The game activities include open 4x4 safaris and motorized boat cruises along the reed-lined channels of the delta. The delta environment has large numbers of rare animal species, such as crocodile, red lechwe, sitatunga, elephant, wild dog, buffalo, wattled crane, many more common mammals and amazing bird life. The best time for game viewing in the delta is during the May-October period, as animal life is concentrated in these flooded areas when the remainder of the bush is very dry and harsh. The day is devoted to safaris and motorized boat cruises on the waterways of the Okavango. All game activities focus on interpretive viewing of the abundance of mammal and bird species, which call the labyrinth of channels and islands home. From the majesty of the Big Five to the elusive ways of the Puku, the secrets of the wilderness unfold in the company of an experienced ranger. A morning game activity and breakfast are followed by a light charter flight to Kasane in the northeastern corner of Botswana. Guests will be met on arrival at Kasane and then transferred via the Kazungula border post to Livingstone in Zambia. The town bears the name of the famous British explorer Sir David Livingstone, who is reputed to have been the first European to lay eyes on the majestic Victoria Falls. The afternoon is spent at leisure. The morning is devoted to a guided tour of the mighty Victoria Falls, one of the seven natural wonders of the world. The falls lie within the local Mosi-oa-Tunya National Park. The name translates to ‘the smoke that thunders’, which is the name that locals have used for the falls for many generations. The sanctuary affords incredible views and, during the dry season, you can make your way across to Livingstone Island for a heart-stopping peek into the churning chasm below. There is also a curio market at the entrance to the falls and guests may take some time to view the different arts and crafts on display before returning to the hotel. In the late afternoon, a sunset cruise is enjoyed on the mighty Zambezi River. Traditional cocktails and snacks are served aboard the river boat. The sight of the sun setting over one of Africa's most impressive attractions will surely be remembered for a lifetime. The morning is devoted to an elephant-back safari in a wilderness area not far from Livingstone. On arrival at the venue, guests will enjoy a short presentation about the project and be given a short lesson on how to interact with the elephants, after which the safari begins. An experienced elephant minder accompanies each elephant and client. The route follows a trail through the surrounding woodland and might include a stop along the banks of the Zambezi River. Riding silently atop a gigantic pachyderm is certainly the experience of a lifetime. Your safari ends with a short training session and interaction with the elephants, which is followed by a late breakfast or early lunch. Guests then return to the hotel, where the remainder of the day is spent at leisure. A last glimpse of the thundering Victoria Falls is followed by breakfast, then a transfer to Livingstone Airport for a flight to Johannesburg, where guests will be met and transferred to a location of their choice in Pretoria or Johannesburg. An African safari experience which would have made even David Livingstone envious is sure to be remembered forever. 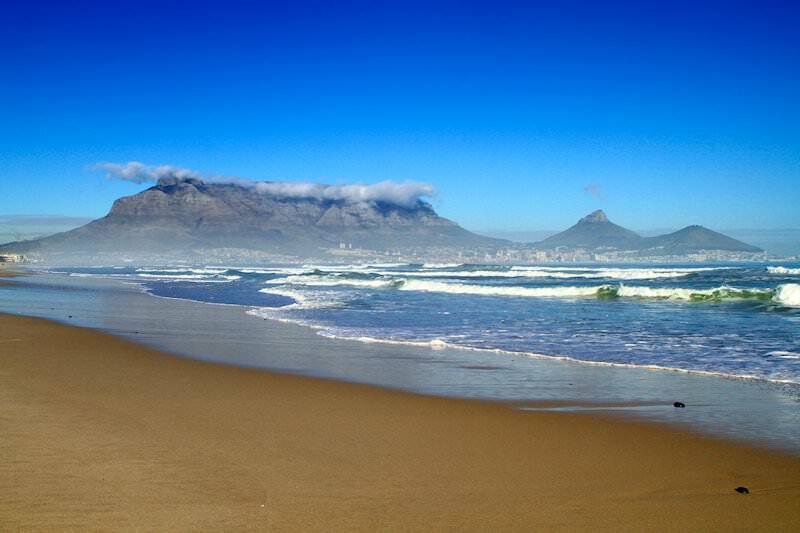 South Africa boasts a wide range of safari and tour destinations. 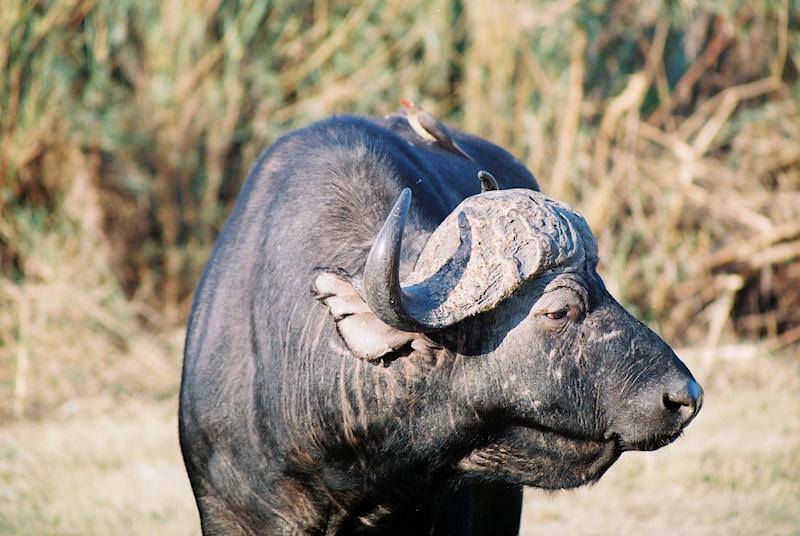 Travel to Botswana for unique water-based safari activities, like mokoro trips. 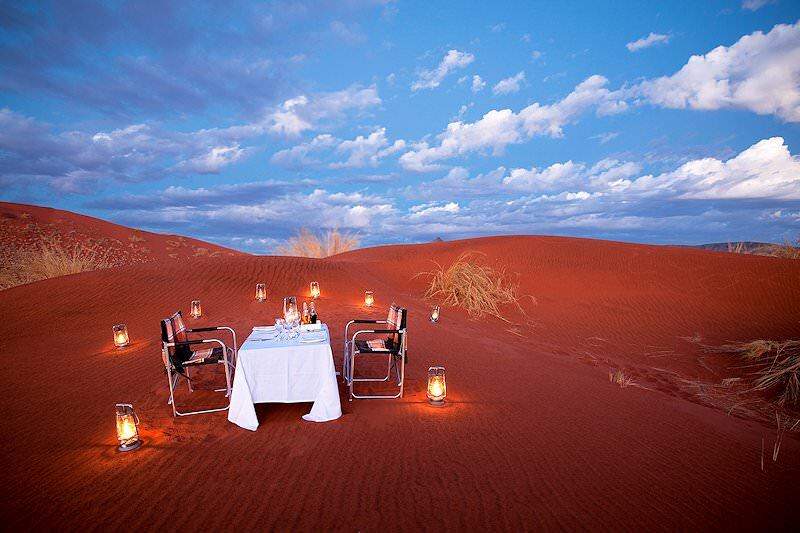 Namibia's top destinations are Sossusvlei, Etosha National Park and Swakopmund. Zambia's wilderness areas are remote and truly wild, offering authentic safaris. Zimbabwe is known for its spellbinding view of the Victoria Falls. Mozambique's fine beaches and warm waters make it a tropical paradise. 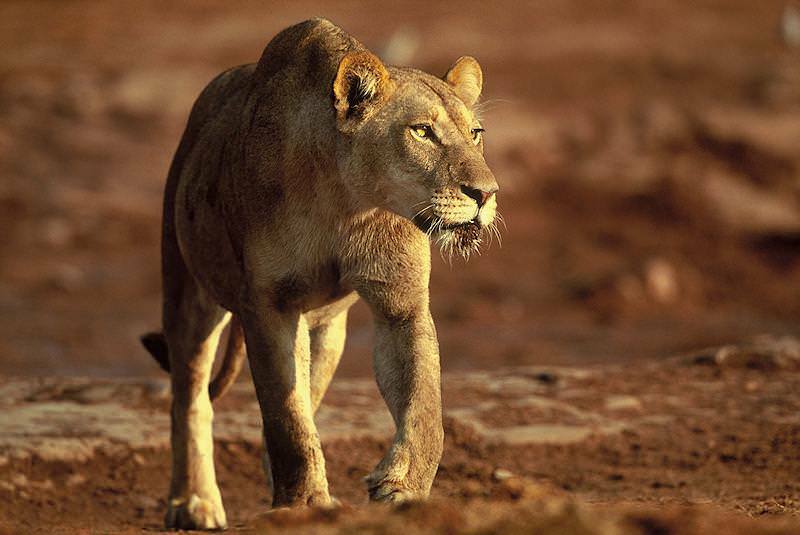 The Kruger National Park is South Africa's premier safari destination, offering prolific Big Five game viewing. The luxury safaris offered by African Sky include lavish accommodations, gourmet meals and exciting safari activities. The Big Five are the continent's most sought-after mammal species and on the top of the list of most safari enthusiasts. The African safari lodges in our packages are tucked away in wild locations like the Phinda Private Game Reserve and along the Savute Channel.